Mill Revati was inaugurated in 2008, under the name of Biopav. 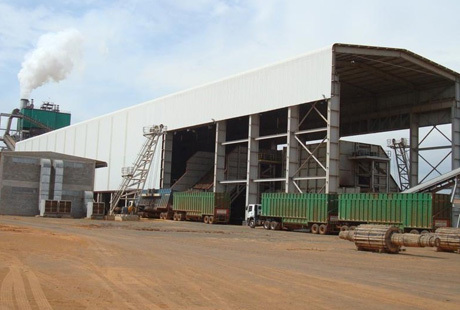 The milling capacity of 4 million tons of sugarcane was the largest ever installed at the opening of a mill and is already being expanded to 6 million tons; this expansion should be completely ready for operation in 2012. This total milling volume is obtained from only one set of crushers, one of the largest in the country and one of the first totally electrified, as well. From the beginning, the installed cogeneration capacity has been 65 MW, but will soon be increased to 157 MW, when it will start generating a surplus of more than 630,000 MWh for sale after the installation of an additional 97 kgc/cm2 pressure boiler. Sugar production is basically of VHP type, reaching as high as 1,350 tons per day. Up to 900 m3 of hydrous ethanol may be produced daily, from which 100% may be immediately converted to anhydrous ethanol through molecular sieves. The unit also has dry yeast production where 10,000 tons per season with protein content of up to 43% can be produced.